This past weekend I had the "fortune" to attend a conference in the lovely city of Idaha Falls, deep in Mormon country (did you know that strict Mormon's won't drink coffee because of the stimulative effects?). Aside from my car breaking down on the way and Idaho Falls being hardly the cultural metropolis I had (oddly) hoped for, the city does have some minor charm and the conference did turn out to be quite pleasant. Before I embarked on my trip, I had made sure to get a list of possible good coffee establishments. Armed with a list of four, I was remise to find that one didn't exist and the other three were extensively spread out over the city. Nonetheless, I made my way for the first (Villa), which I had driven by the day before (which was Sunday, when nooooothing is open). The exterior didn't beam too much promise, as it was a blah grey with (cheesy) holiday window writing, but upon walking in my countenance changed. The architecture was a beautiful loft construction filled with vibrant shades of reds and grey. There was ample seating and a pleasantly-flowing atmosphere, complete with a fishbowl-ish conference room in the back. 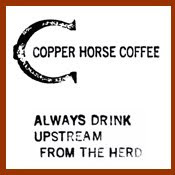 The coffee was another surprise. They brew PT's Coffee out of Kansas (random? 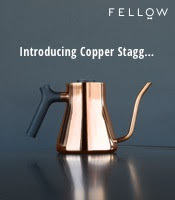 ), a company that seems very emphatic on using only the best single origin coffees. From what I tasted at Villa, the coffee was pretty good (it had been sitting some time I think). The fact that there was an array of different coffees, ranging from Peru to Ethiopia really made my day. The espresso was also fairly decent. My first trip in, my americano was stellar with a subtle brightness and smoothness that appeased my palate. But their weak point seemed to be their barista skills, as my second time in I got a latte that was overtly under-steamed and rather blah (like the front of the building). The tea was very Republic of Tea, as the entire interior was covered in RoT paraphernalia (though tactfully done) but fortunately I really like RoT, so it was another vote of confidence on their credibility. Overall, a very bright gem of a coffee place in a very dull city. Idaho Falls really needs to embark on a downtown revitalization, as it seems to barely hold on with the passing years. Also, on a separate sad note, I didn't make it to the other two coffee establishments, but maybe next time I'm in town (?). I'm an actor from California who came to Idaho Falls last year (for work! can you believe they do theatre there?). I spent almost all day of almost every day at Villa Coffeehouse, and your description of the feeling upon entering the place is spot on. It is an oasis in a wasteland. I miss Villa and its lovely proprietresses very much. 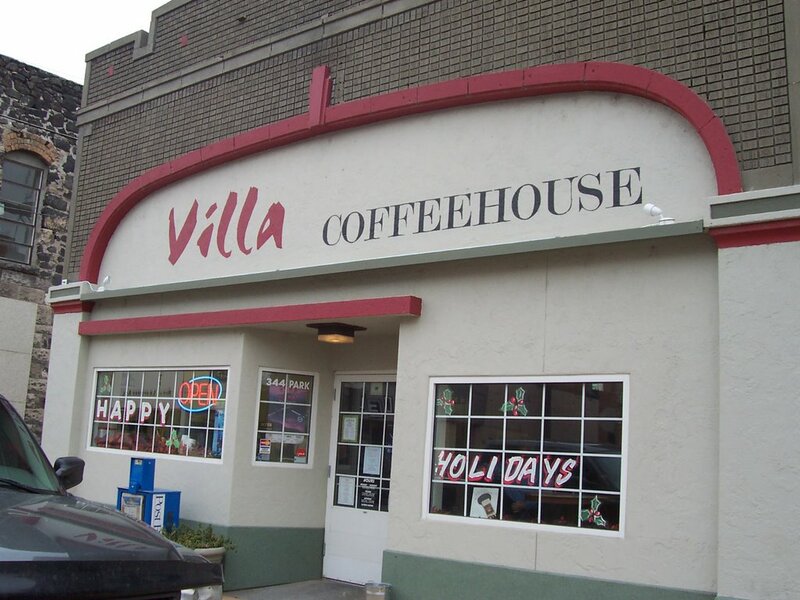 The Villa serves coffee out of Kansas because their original owners (sadly, no longer with the town) moved to Idaho Falls- found the building charming- remodeled and moved in. They were living upstairs (you may have noticed the window in the rear). The current owners worked in medical billing and took over about a year and 4 months ago now. Also, I hope you did try Java Espress, who are open Sundays (but basically don't have seating). Sadly, we did lose the Coffee Bean. Their pastries were outstanding, they did not have WiFi :-( and their coffee wasn't bad - and local.